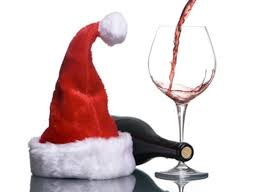 It’s Beginning to Look A lot Like Wine-mas! December is almost here… and it’s beginning to look a lot like Christmas.. So many opportunities to enjoy some great wines. Decorating the tree, putting up lights, Christmas cooking.. no matter what you’re doing to get ready for the holidays, here are some of my favorites. 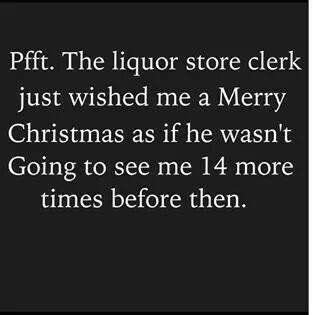 Remember though, please do not drink and drive. This is only for chores around the house, when you know you are home for the night. 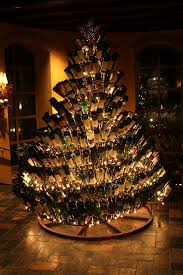 Looking for a wine while you’re decorating the Christmas tree? Here’s a new wine I tried this past week. 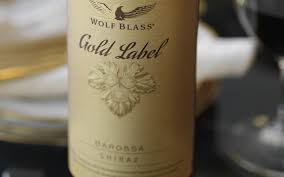 The Wolf Blass Gold Label Shiraz from the Barossa Valley in Australia. 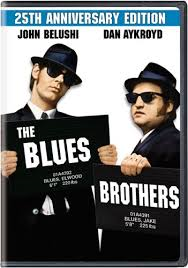 This is on for a fabulous price right now where I live, but even if it’s not on sale, pick it up, you won’t be disappointed. I just went back and got two more. The Barossa Valley and Shiraz seem to go hand in hand, and here’s one of the reasons why. It’s elegant, well-balanced and full of flavor with rich fruit and some spice. Some people don’t like Shiraz because of the spice. Those people should try this wine, as the spice doesn’t dominate the wine. 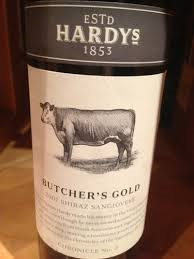 An Australian Shiraz is also a wine I like with grilled pork, pork tenderloin, pulled pork and a whole variety of meat dishes other than pork. And who am I kidding? This wine was delicious all by itself. 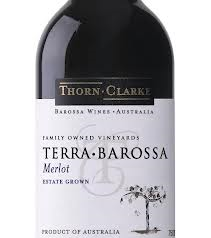 Here’s another Australian Shiraz I’ve tried recently. Koonunga Hill from Penfolds. 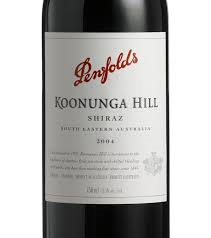 I love Penfolds wine and this attractively priced Shiraz is so easy to drink, it will become a regular in your wine rack. 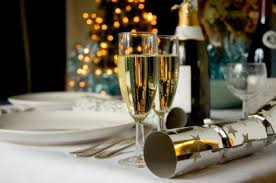 Do you have Christmas cooking to do? 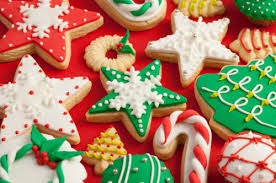 Christmas cookies to bake? Well, do I have the Riesling for you. Tried this Thursday evening, with my friend Rayell. 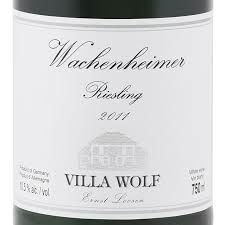 The Wachenheimer Riesling from Villa Wolf. This Riesling comes from a single-vineyard site, called Königswingert (“King’s Vineyard”), but is labeled only with the village name. I dare you to have a couple of glasses of wine and say Königswingert three times fast.. heck, say it once fast. When I pick a Riesling, I have to confess I don’t normally head to the German section. I love Riesling, and I’ve recently picked up the Wakefield Riesling from Australia, and I’m looking forward to trying that one. Some German Rieslings tend to be a little too much petrol for me. This one I really liked. A little petrol on the nose, but no sign of it on the palate. It has a real good full mouth feel, its elegant, and very yummy. Every once in a while, a wine comes along that blows my mind. I had such a wine this past week. It’s the Pierre Andre Mersault. 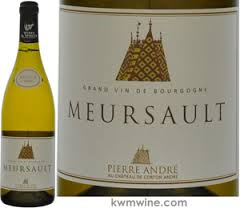 This is from the famous Cote de Beaune region of France, and is composed of 100% Chardonnay grapes. I looked at Rayell when I bought the wine to my nose and said ‘Wow, that is aromatic’. 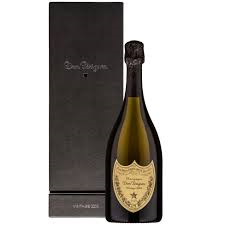 Rich intense aromas of peaches, lemon and a hint of vanilla. From my reading, I learned that 80% of this wine spent 13 months in French oak. No one does subtle oak quite the way the French wine makers so it. They have mastered the art of subtle oak that enhances a wine. And my favorite part was the persistent finish, this wine stayed on the tongue and I kept enjoying it for moments after. Treat yourself this Christmas to this wine. You’ll be happy you did. I saw this sign this past week, and had to share it with all my friends at the Larry Uteck NSLC. I thought it fit me perfectly. 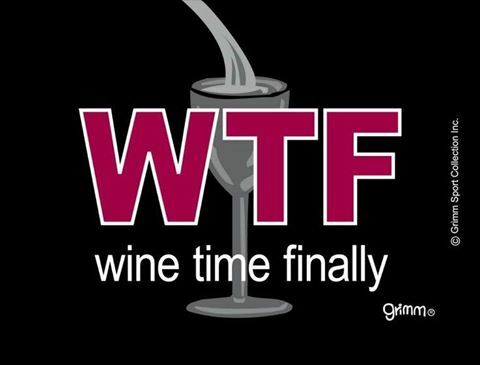 That’s it for this week, I love a week when there are all new wines. And as the regular readers can tell, I do drink more red than white, especially in the winter, so a wine blog featuring mostly whites is nice. This is my 252nd wine blog, so it’s understandable sometimes I get writers block. 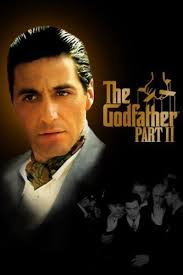 What will be the theme of this week’s wine blog. There’s never a shortage of fantastic wine to write about. And such is the case this week…. 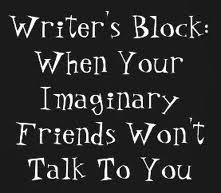 I can’t think of a theme, so I called it Writer’s Block, but not Wine block. I have some fantastic wines to write about. You all recognize my friend Rayell from the NSLC on Larry Uteck. With her is a familiar face in the Larry Uteck store, Kim. It’s the first time I’ve seen Kim since the Port of Wines, as he recently lost his 92 year old mother. He told me they celebrated her life in fine style. Thoughts and prayers are with you Kim. Kim is holding last nights pleasurable selection of wine. 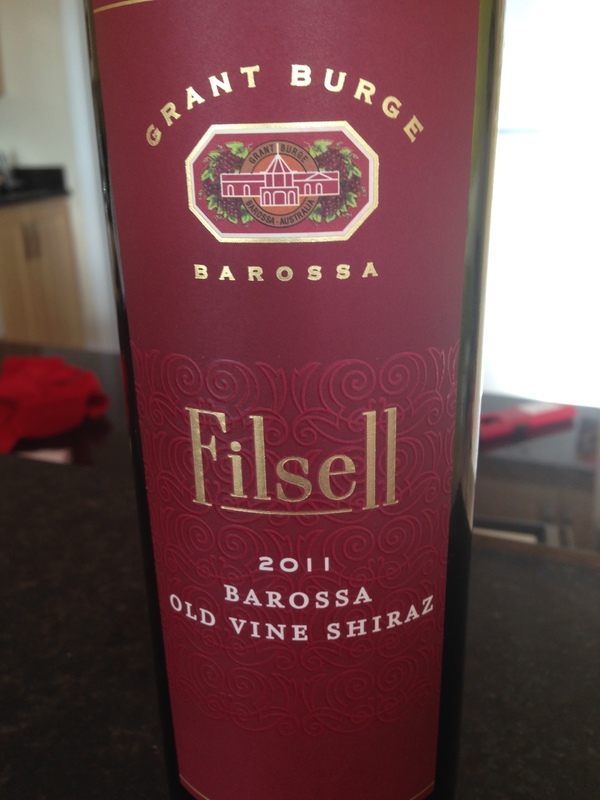 It’s the Grant Burge Filsell Old Vine Shiraz from the Barossa Valley Australia. Oh my God, if you want to open a bottle of heaven, this should be your next choice. I believe Kim said the vines were 60 years old, and the wine was aged in oak for 20 months. This wine has won 24 gold medals, 49 silver medals and 58 bronze medals in competitions. And its won over 100 medals for good reason. It’s vibrant, complex, has lots of flavor and with every sip you discover something new. Lots of gorgeous fruit and vanilla notes from the oak. I had this with a grilled stuffed butterfly pork chop. I stuffed it with a dressing made from bread crumbs, apples, carrots, garlic, pepper, and onion powder. On the chop itself I brushed applewood smoked bacon mustard on both sides. 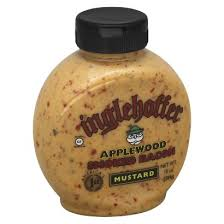 (Yes, they make such a mustard! You can’t make that stuff up ) To say I matched it with the perfect wine, would be an understatement. 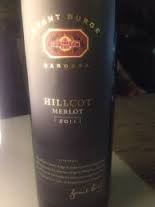 Grant Burge is the winemaker behind the Hillcott Merlot. Kim was tasting that last night as well. I had written about this wine back in May of this year. Read the blog here. I had kicked off my long weekend in May with this beauty. It was smooth and I loved the aromatics on this wine. The oak was well integrated and not overpowering at all. 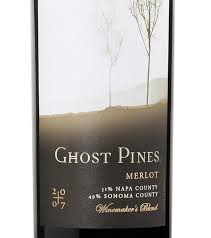 Ahh, another week where we highlight a great Merlot. Here’s a wine I tried this past week. At a great price point, it’s a nice little wine to open any night of the week. 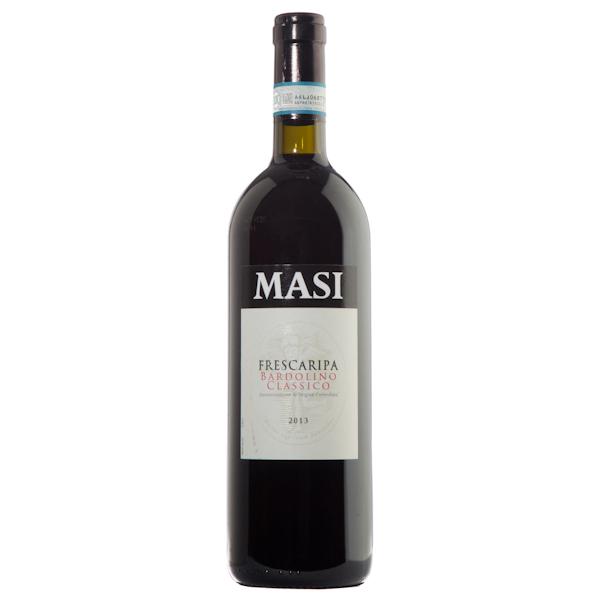 It comes in at around $13 and is 80% Shiraz and 20% Sangiovese. It’s full-bodied, meaty and nice tannic structure. It pairs well with food, however, my friend and I had no trouble finishing the bottle after the meal. 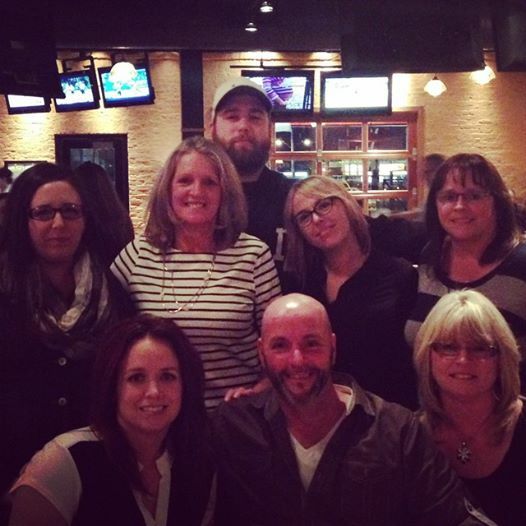 Before I go, I have to give a shout out to these fine people, they are the staff at the NSLC store on Larry Uteck. Over the past couple of months, I have bought several friends to the NSLC location on Larry Uteck here in Halifax. And every single friend leaves the store saying they have never had an NSLC experience quite like this one. This group of people continue to wow customers every single day! So hats off to the people who put up with me every week, and always have a fine recommendation. 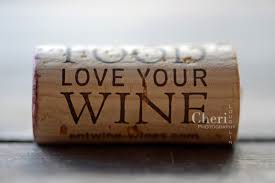 Drink The Wine You Love! 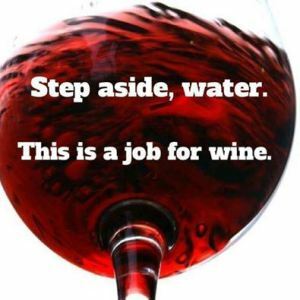 I love this wine…. what do you think of it? In the end, does it really matter? I read a quote recently that said “Love the Wine You Drink and Drink the Wine You Love”. 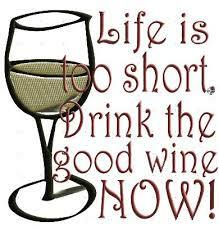 My friend Judy always says, ‘Life is too short to drink cheap wine”! 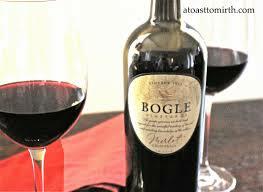 I like to say ‘Life is too short to drink bad wine’. Price tags are irrelevant – if you like the wine… drink up. No wine critic, reviewer, Sommelier, or fellow wine drinker, can tell you if a wine is good. If you like it, it’s good. When asked can I recommend a good wine, my first question tends to be ‘what wine do you currently like?’ This will give me a general idea of which grape and which country you are currently enjoying. And if you’re anything like me, I have ‘fads’. For example, this summer, you couldn’t get me out of the California section. I go through a California phase every once in a while. Recently, it was 2 months of Australian wine. As I headed to the wine store yesterday evening, I had no idea what I was going to come home with… but I wanted to try a wine I had never had. Here’s the result! 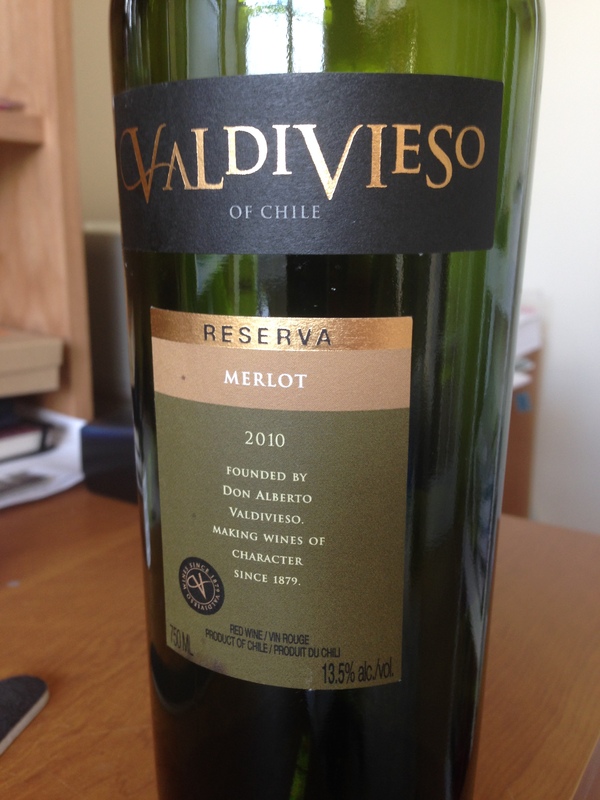 The Valdivieso 2010 Reserva Merlot from Chile. The reason I chose this particular wine, I had never had it before and I believe its relative won the Best of Show at the Port of Wines last year. Correct me if I’m wrong. So this is what I popped open last night. Earthy is the first word that came to mind. First of all, let this wine sit for a while, after you open it. I didn’t at first, and the oak overpowered the wine a bit. As it sat for a while, it mellowed and I could enjoy the wine. However, it never lost its earthiness. At around $25, another Merlot I have had in the past week I found to be much better. 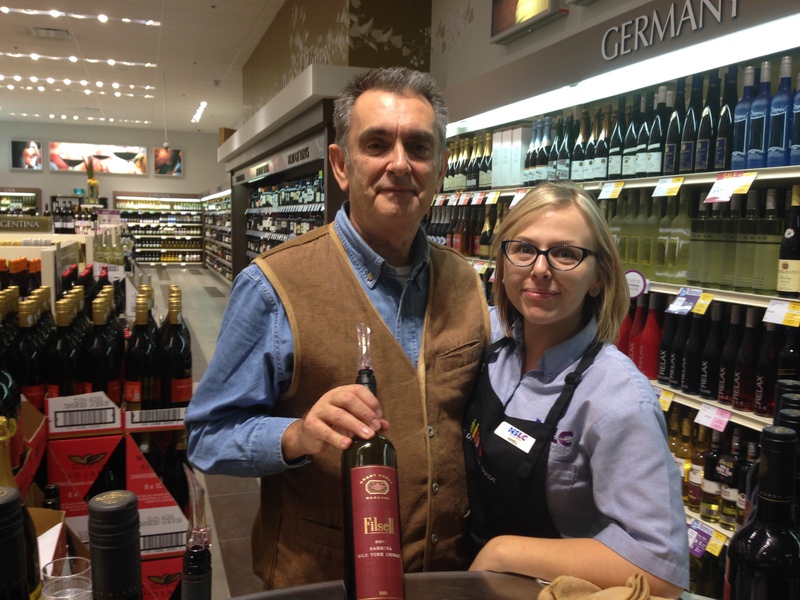 My friend Rayell from NSLC tells me I had this wine after the Port of Wines last year. I didn’t attend the Port of Wines last year, as I was visiting my parents in Newfoundland. But she was confident I had this wine before. Well shame on me for waiting a full year to buy it again. Except for some Right Bank Bordeaux wines, this one was probably one of the best Merlot wines I have ever had. At $25 it’s a winner. This Merlot is exceptionally rich and voluptuous, and although has seen oak, the oak in no way dominates the wine. When I was enjoying this last weekend, I was thinking Right Bank Bordeaux. 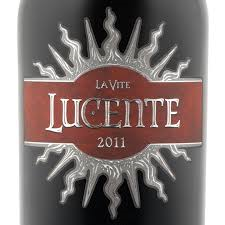 It comes from the Hope Family of wines which also has the Liberty School series of wines. Rayell told me she had this wine this past week, and it was fantastic. 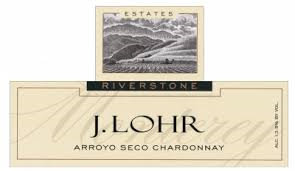 I am going to give it a try this coming week, it’s the Liberty School Chardonnay, and I will write about it next week. She tells me it’s 90% Chardonnay, 5% Viognier and 5% Marsanne, and the blend is perfect. I am really looking forward to trying it. If you don’t want to spend $25 on a wine, here’s one I’ve written about a few times before. A fantastic wine, from California, and comes in at about $22. One of my favorite Merlot wines. Again, it’s rich and voluptous and so easy to drink. With either of these two wines, I found them fantastic with food, or all by itself. Wow, it’s been all about the Merlot this week. 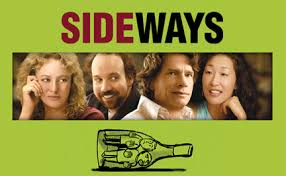 Take that Paul Giamatti from Sideways. We are drinking the Merlot this week. Have you tried a new wine this week? If so, I would love to hear about it. Hard to believe November is here! People I work with are starting to put on their winter tires and I bought my first pack of Christmas cards the other day. 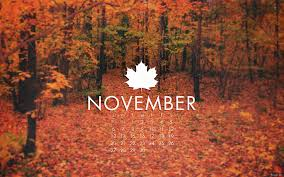 Yes, November is here, with its cool days and chilly nights. 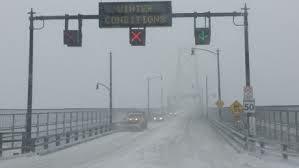 And although right now, it looks like the top picture here in Nova Scotia. It’s won’t be long before it will look like this. Yes, November is here. And for me it means comfort food and great wine! Wondering which wines works with your favorite comfort food? 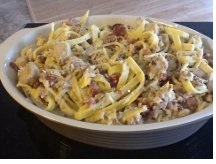 Here are a few of my favorite comfort foods and the wines I love to have with them. Chicken pot pie tops the list because it’s on the menu for this weekend. And for me, nothing compliments a delicious chicken pot pie than a creamy California Chardonnay. The buttery flavors that usually go with a California Chardonnay and the hint of oak, combine to make a great pairing, but it still has enough acidity to cut through the creamy sauce. You won’t want to come out of your comfy pajamas and this could become your favorite winter combo. Funny story. 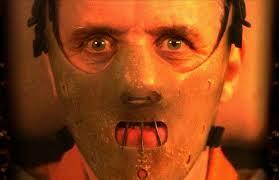 My mother makes the best beef stew ever. The meat is tender and the gravy in the stew is to die for. 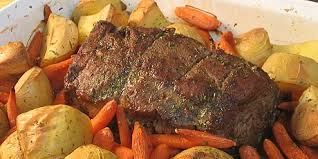 Her pot roast on the other hand, is so well cooked and dry that it flakes. Go figure, same meat – totally different outcomes. Here’s a pairing that works two ways… first of all, any roast beef recipe is enhanced when a good Cabernet Sauvignon is added. And then it’s the perfect wine to enjoy the roast beef with. 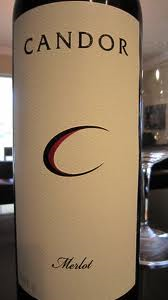 I love a good flavorful California Cabernet Sauvignon as well, and the one pictured is a new one I have tried this week. 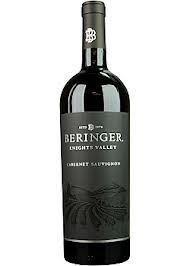 It’s the Beringer Knights Valley Cabernet Sauvignon and it is so good. Knights Valley is land about 17 miles from the Beringer vineyards that they have been farming for years. And top quality soil means exceptional Cabernet Sauvignon. 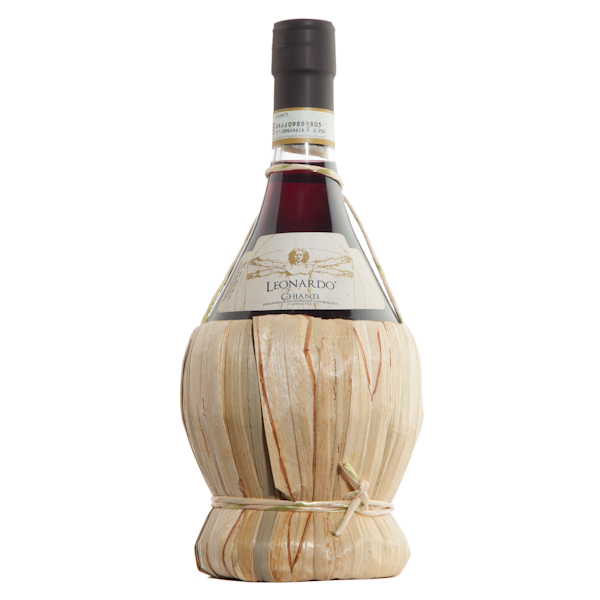 Gorgeous rich flavors of blackberry, blueberry, nutmeg and maple. This wine has comfort food written all over it. 3. Pasta & a Wide Variety of Italian Wines. If you haven’t tried this Sangiovese, I highly recommend it.